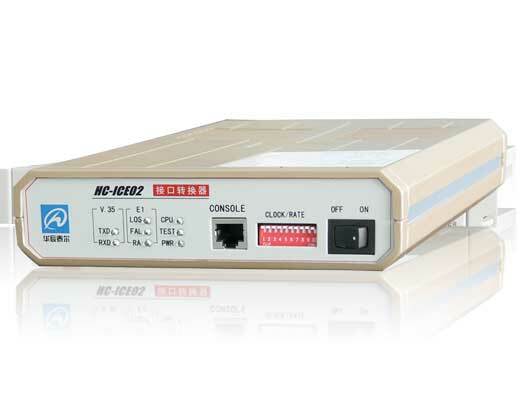 The HC-ICE02 interface converter provides conversion between ITU-T G.703/E1 interface and standard V.35 interface. It provides safe and seamless connection between different devices with different interfaces. It’s used widely in connecting WAN and LAN. The E1 port provides for either 75Ω unbalanced connection via BNC connectors or 120Ω balanced connection via RJ45. It can be easily controlled by DIP switch on the front panel. HC-ICE02 has two kinds of type, the card and the box. Generally the cards are inserted in the HC-COMM at the center side. They can be managed by the management software HCView at the center office.